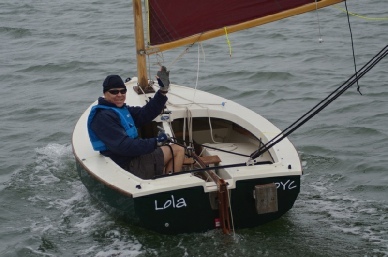 Lawrence took part in the DYC regatta in late July, using a club RS Feva. The first 3 days were very windy so a real trial and then the wind settled down a bit for the final 2 days. After 8 races he came 2nd overall in the slow handicap fleet. The last day was a Trophy race and he won the cup, hoorah! 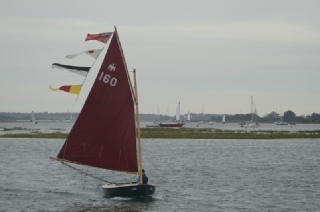 The DYC was 180 years old in September so a parade of sail was organised with all different types of sailing boats. 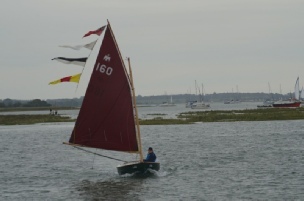 Here’s Lawrence in ‘Lola’ our Cornish Cormorant with flags flying in the parade.